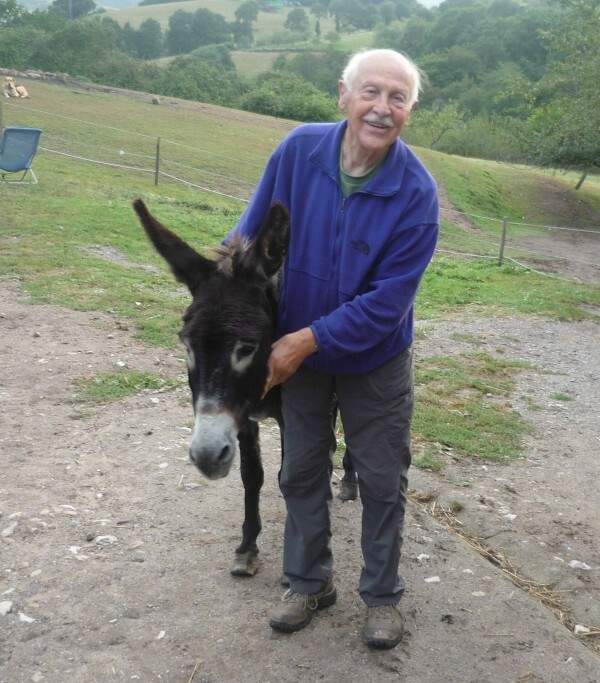 All volunteers in our donkey-paradise – without exception – have contributed and still contribute a lot, but one person in particular has meant a great deal to me and all animals. Leo was here when it all started in september 2007 to help to get things from the ground. 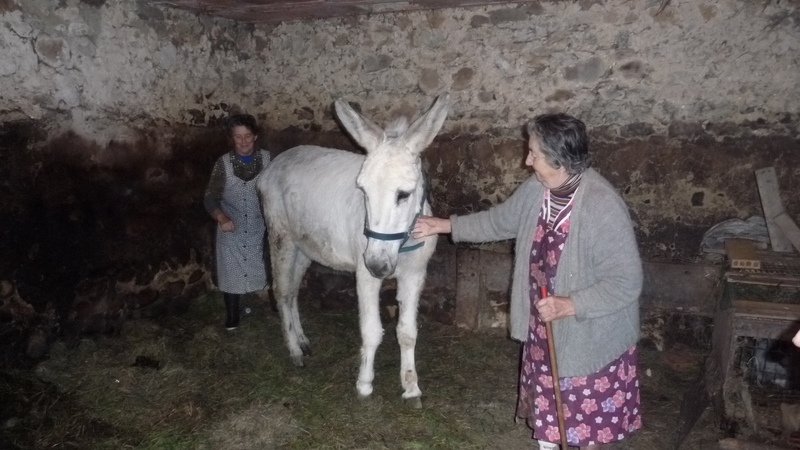 But before that he also contributed much time and effort to finding a suitable place in Asturias where everybody, including the donkeys of course, could be happy. Not long ago Leo decided to go back to his family, his friends and his everyday life in the Netherlands. Just before he left Arobes, a new donkey arrived. Guess how this new donkey was named??? Leo of course! Donkey Leo immediately got himself ‘adopted’ by his nameshare. The picture below shows both Leo’s, the day before Leo’s departure. Luckily Leo will not stay away forever – he promised to spend some weeks again here in spring 2010. Three of our donkeys are now adopted: Norbert (by Helena from Pola de Siero), Grietje (by Leo’s grandson Bram) and Leo (by Leo). The adopters contribute a free, but fixed monthly amount for the ‘adoptee’ of their choice for a fixed period of time. Did you know that El Paraiso del Burro has its own page and group on Facebook? Tanja Hedman and Carla Pertejo Nystrom from Sweeden who have just recently spent several months here working as volunteers initially started the group. Hurry back Tanya and Carla – everyone misses you. Why not contribute to the message board on Facebook and join the group? Details are also available of how to make a donation – all contributions are greatly received and used to care for the Donkeys. To find the Page and Group search for Paraiso del Burro. We rely heavily on volunteers to help us here at El Paraiso del Burro. With 17 Donkeys, 2 horses, 4 dogs, 2 cats, 8 hectares of land and extensive apple orchards there is always plenty of work waiting to be done. Some of our volunteers live locally in Asturias and help us out on a regular basis and many come from further a field, in fact from all over the world. We get some of our volunteers through a programme called WWOOF (World Wide Opportunities on Organic Farms). Last week we were really pleased to see the return of our first ‘wwoofer’ Michael Anton from France who came along to help us again for a few days this time accompanied by his girlfriend Lisa Faller. It was really good to see him again and their help was much appreciated. More about our other volunteers another time. You can find information about ‘WWOOFing’ by accessing the link on the sidebar or if interested in working with us contact us through the information detailed on the ‘About’ tab.